If you have an important meeting or want to take the whole family sightseeing, make your first stop our free, hot breakfast. 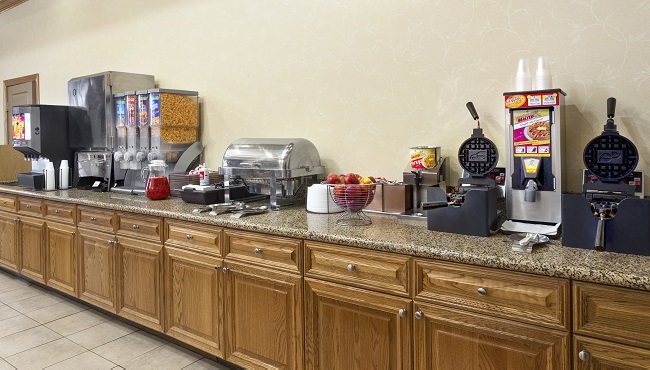 The Country Inn & Suites, Homewood offers delicious options like Belgian waffles, whole fruit and our freshly brewed coffee to help you enjoy your day. For lunch or dinner, visit nearby restaurants like Okinawa for Japanese cuisine or Saw’s BBQ for smoky pulled pork.